Narrow winding trail crosses remote backcountry. Remote, lesser-known loop meanders along the western side of Hatch Wash (opposite Flat Iron Mesa, Trail #41, on eastern side). Trail passes distant Box Car Arch. You’ll cross flat, open terrain, then drop steeply on a winding road to undulating canyons and washes below. 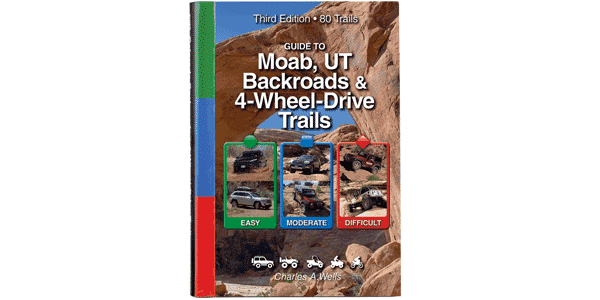 Fun trail for ATVs and UTVs. Trails marked by SPEAR (San Juan Public Entry and Access Rights). They work hard to protect your OHV rights. Please stay on marked routes. Most of the route is easy to moderate; however, there are two steep climbs that are marginally difficult. Both involve small ledges and loose rock. Trail is suitable for many stock, 4x4, high-clearance SUVs; however, we do recommend a rear locker and off-highway driving experience.